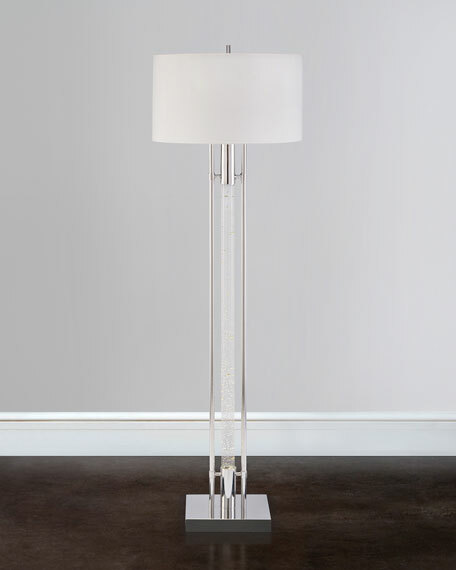 Glass-column floor lamp may be illuminated at top, top and base, or base only. 21"Dia. x 70"T; cord, 6'. Uses 1 60-watt bulb and 1 built-in LED light. Weight, approximately 41 lbs. Boxed weight, approximately 53 lbs.